The pilot will come out of retirement to take the seat of Dale Dale Earnhardt Jr. at Hendrick Motorsports next weekend in Indianapolis. 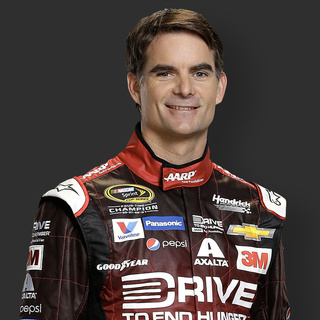 Jeff Gordon will drive the No. 88 in the weekend of the Brickyard 400 in NASCAR Sprint Cup. The now presenter of Fox Sports will be in the seat of Dale Earnhardt Jr., who remains off the track by symptoms of concussion felt recently, nausea and unsteadiness for the pilot. Gordon, who turns 45 on Aug. 4, is the only driver who has competed in 22 Sprint Cup races at Indianapolis, where he won the inaugural event in 1994, his first victory at the oval. He also has 12 top-five and 17 arriving at top 10, along with that, three pole positions and led 528 of his 3,349 laps at the track. The pilot was born in Vallejo, California, and considers Indiana his second home. He came to NASCAR at 19 and 23 seasons in the Sprint Cup later has achieved 93 wins (third most wins of all time), 81 pole positions and 325 top five and 475 top 10. Since retiring from driving last November the No. 24 Chevrolet for Hendrick Motorsports, the four-time champion has worked in NASCAR broadcasts by Fox. Alex Bowman replaced Earnhardt last Sunday at New Hampshire Motor Speedway, starting at the 20 and ending at position 26. Through a note on his website, he said Earnhardt suffering discomfort. Earnhardt dropped to position 15 in the Sprint Cup after missing Sunday’s race. The 41-year-old, who has 13 pole positions and 26 wins, he missed two races in 2012 after suffering a concussion at Talladega Superspeedway. Team officials did not indicate when Earnhardt might return. However, Rick Hendrick, owner of the team, said Sunday he believed that Gordon would take the steering wheel if necessary.